Welcome to the 51st edition of Inclusion Now. Audio and text versions are in the articles below. 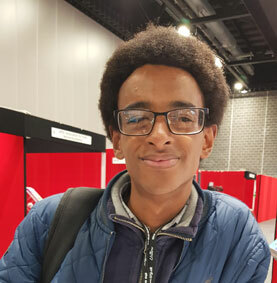 Eighteen year old Amen Tesfay was one of a number of speakers at the recent Labour Party Conference who declared he was neuro diverse while making a great speech. ALLFIE will be adding more resources to its new website that you may find useful. A new addition is a legal guide by barrister Steve Broach which looks at how families may be able to use the law in making the case for their child to be in mainstream. Michelle Daley and Richard Rieser report on the first Global Disability Summit, the controversy around it and associated events. At the Global Disability Summit, Michelle Daley, ALLFIE’s interim Director, asked delegates from around the world about the state of inclusive education in their countries. Following an earlier piece (see Inclusion Now 46) on the failings of intelligence testing, educational psychologist Colin Newton looks at alternative means of assessment. Embedded practice or neglected words? Zena Martin offers some recommendations on making it practical. We at Inclusion Now stumbled across a recent research article via Twitter that looks at the challenges education professionals at one FE college faced over time in trying to implement inclusive practice. We asked its author, David Meir, to tell us more about himself and about his research. In 2018 our theme is Disability and Music. We hope you will support us by spreading the word, organising activities and donating to UKDHM. We want to explore the links between music and the experience of disablement in a world where the barriers people with impairments face can be overwhelming.